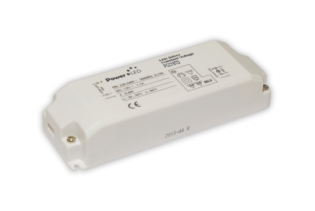 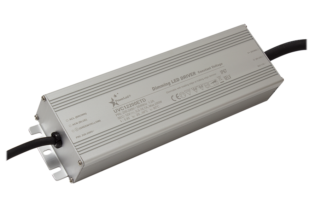 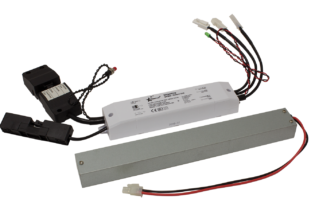 CV25 is a two in one dimming function constant current LED driver with an input capability of 180 to 227VAC, or 254 to 392VDC. 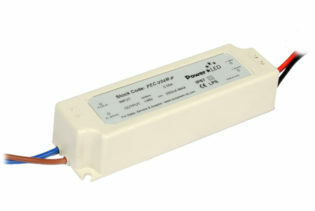 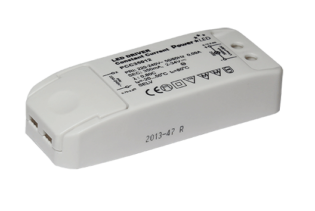 DC voltage range of 6 to 54Vdc at 18.9W (for 350mA output) or 25.2W of power. 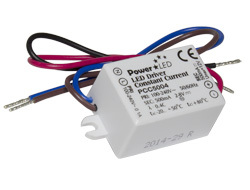 The power supply has a synchronisation function, which allows up to 10 drivers to be connected. 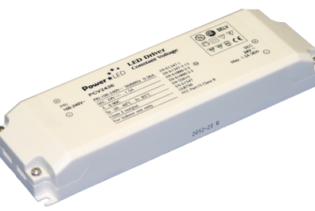 CV25 is a two in one dimming function constant current LED driver with an input capability of 180 to 227VAC, or 254 to 392VDC and multi stage constant current output. 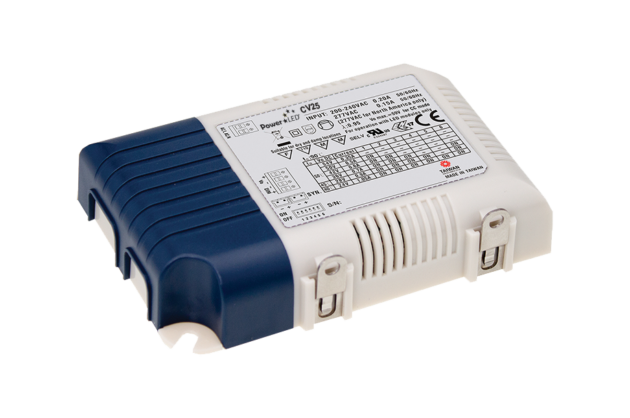 The output current level is selectable via a dip switch to offer 350mA, 500mA, 600mA, 700mA, 900mA or 1050mA output with DC voltage range of 6 to 54Vdc at 18.9W (for 350mA output) or 25.2W of power. 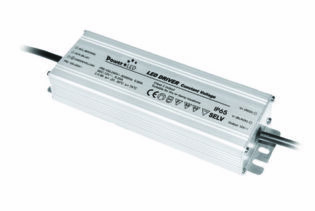 The power supply has a synchronisation function, which allows up to 10 drivers to be connected in a master and slaves configuration, allowing LED lighting connected to the drivers to be dimmed through the master unit to the slaves, in synchronisation ensuring seamless control in larger environments. 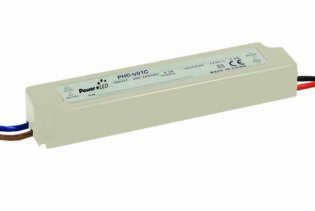 The two in one dimming function means you may select the most suitable dimming style for your installation; the control options available are external 0-10Vdc and PWM signal.